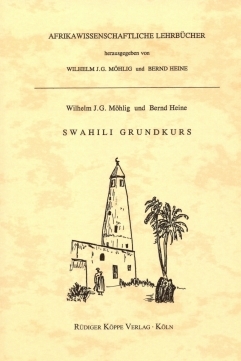 The included exercise book, now in its third and revised edition, completes the Swahili Basic Course. It contains the key to the exercise part as well as sentence practice, thus serving for the training and expansion of the learner's speaking ability. Undispensable for self-instruction, the exercise book is a useful teaching support. 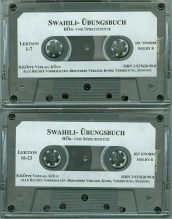 The two tape cassettes contain the exercises for listening and speaking that are dealt with in the Swahili Übungsbuch. The texts are read by three native speakers from East Africa and run about 4 hours, including the necessary breaks for reading the drills aloud by yourself.